Back to Home Back to News & Tour Back to General news Back to 2017 Back to March Back to MASTERS 2017: How hard IS Augusta National? The Masters is held every April at Augusta National in Georgia - and yet every year the same questions seem to pop up about the first major. How hard IS Augusta National? 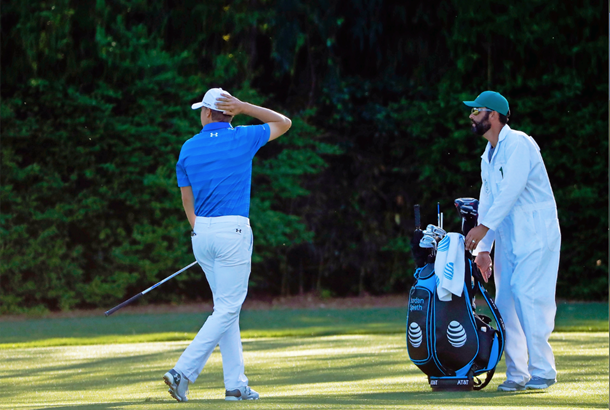 Last April, 89 of the world’s best golfers arrived at Augusta with high hopes of taming the greens, blitzing the par 5s and slipping on the green jacket. But by the end, 23 of them had recorded at least one round in the 80s and just six of them were under par. So what gives? Why is this picture-perfect and seemingly rough-free layout so tough to score on? We divided the challenge into four key sections and asked a selection of experts to reveal the truth. Do the tee shots at The Masters drive golfers crazy? If you can set the ball off fairly straight and hit 280 yards, then the answer to our opening question appears to be a straightforward no. “Augusta is generally quite generous off the tee,” says Francesco Molinari, and Jason Day agrees. “If you’re driving well, the fairways are wide in comparison with normal tour events,” says the Australian. But what if you can’t set the ball off straight and hit 280? Well, then you may have the odd problem. Are approaches at Augusta National a big issue? Jason Day calls Augusta “a second shot golf course” and his fellow Australian Adam Scott shares this opinion. “If you are a little bit off with your iron play, you are going to have a really long day on the greens, putting from long range and not giving yourself a lot of chances,” reveals the 2013 Masters Champion. This might not sound too bad, but Scott isn’t finished. “Also, if you make mistakes in the wrong areas, there is disaster waiting to happen on every shot,” he warns. And if there are disasters waiting to happen on every shot for the world’s top professionals, imagine the kind of card-ruining nightmares that must be lurking for the average golfer. Actually, don’t imagine them. Sit back and grimace, as Murray describes them for you. “If you don’t have the spin control that the top guys have, there is potential trauma on every hole,” he states. “Take the 3rd. On the telly it looks like a really innocuous hole, but unless you pitch it on the tabletop green with a proper shot it will run through the back and you’ll be left with an extremely tough chip onto a green that runs away from you. The 7th is the same. It might look easy when the pros play it, but if you’re a regular Joe going into that shallow green with a 5-iron you’re going to end up in the front bunker or over the back all day long. Is the short game a real struggle in The Masters? Blimey. If Adam Scott can only get the ball to 40ft, what would happen to a regular club player who short-sided themselves at Augusta? “You would not be able to keep the ball on the putting surface,” believes Murray. “Because of the slopes and the rmness of the greens, even chipping from not bad spots is nigh on impossible for most ordinary golfers." Will putting at Augusta National send you loopy? We’ll start this section with good news. Due to the purity of the greens, the world’s top pros actually make more 3-10ft putts at Augusta than at other PGA Tour events. Now for a double helping of bad news. Augusta than at other PGA Tour events. Second: “Augusta is built for people who are comfortable on very, very fast, undulating greens and the average amateur golfer just has absolutely no idea how to putt on these kinds of surfaces,” says Murray. What would you shoot at Augusta National?